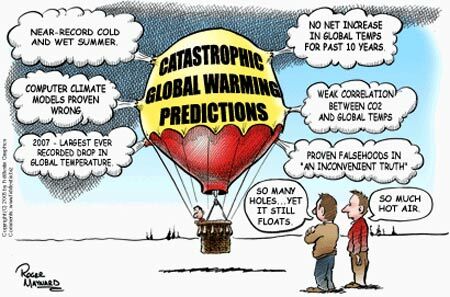 Climategate: IPCC Wants A Do Over! Did you know they allow you to take mulligans in science? It’s news to me! So plagued with fraud, deceit and bunko that it is beyond redemption, the IPCC appears ready to throw out everything it has propounded as gospel truth over the years and start over again to produce a new trove of global temperature data! Trauma therapy is recommended for all those eco-acolytes whose heads are likely to explode. Oh, and have you heard this on any of the legacy media? I thought not. Here’s the scoop at Fox! Hat tip those creative lunatics at Minnesotans For Global Warming! 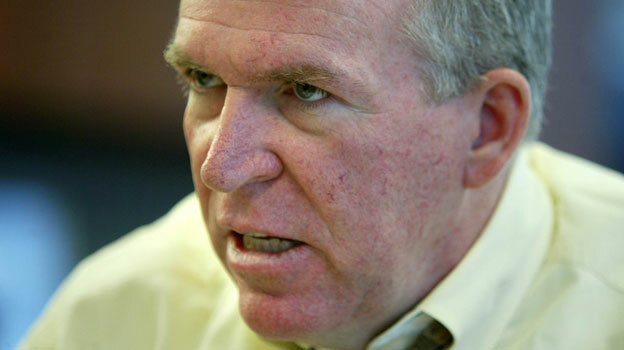 Our friend, and one of the most daring investigative journalists we know, Pamela Geller, has a great article on John O. Brennan, the President’s Deputy National Security Advisor for Homeland Security and counter terrorism. The subject is the investigation into the access of and possible tampering with the State Department passport records of….Barack Obama. The tamperer was a contract worker for the company Brennan was CEO of. A key witness and co-conspirator in the tampering was found dead, shot in the head, in a car in Washington, DC, shortly afterwards. That case remains unsolved. Read the Whole thing here and follow the links. Be prepared to lose some sleep tonight. This is really too important to miss. The Democrats including Obama want to pass healthcare reform through the reconciliation trick. A few years ago they were decrying that same method as the end of democracy in America. I think they were right then. What changed? View the video at Legal Insurrection! Is it any wonder that Congressional approval has fallen to 10%? And that the Tea Party movement has issued its own Declaration of Independence? My hat is off to Skye and the other bloggers who disrupted Medea Benjamin and her sidekick Tighe’s attempt to upstage Glenn Beck’s speech at CPAC. Now if only these venues would learn to use folks like the Gathering of Eagles or Free Republic to supplement their hired security far fewer of these childish pranks would succeed. The Commonwealth Foundation of Pennsylvania and Young Americans for Freedom launched a protest on February 12th over the whitewash of the Penn State investigation into Michael Mann of “Hide the Decline” fame and demanding an independent investigation! If He can’t hide it no one can! 2 4 6 8, Why don’t you investigate? A Michael Mann supporter, Ed Perry, of the National Wildlife Federation made the usual “peer reviewed” argument that has been so thoroughly debunked. Another group of climate change zealots is demanding an apology from the Commonwealth Foundation for having the temerity to protest their envirowhacknut religion! A Penn State student responds! A good media report is here. An unrepentent Mann gave a lecture on climate change hours after the protest. Red State has more here. Blue Star Dad is First Tea Party Candidate Elected in NY State – Updated! Dean Murray, Blue Star Dad from Patchogue, NY, won the special election for New York State’s Assembly District 3! Dean’s son, Tony, is serving as an A10 Warthog crew chief in Afghanistan! Dean was sworn into office in Albany on Monday, 2/22! Congressman Tom Price (R-GA) gives a moving speech at the wreath laying in Georgia. I nearly gagged when I watched this video. Larry Summers is a pedantic maroon. If he believes the nonsense he spouts during this interview he is dumber than a stump. The fact of the matter is that Obama is clueless.